TE-211Z/213 temperature sensors offer the industry’s most extensive range of enclosure, installation and sensor types to satisfy all HVAC, industrial and commercial applications. These revolutionary sensors incorporate more than thirty plus years of product development and experience drawn from millions of installations world wide in all types of applications. The RTD and transmitter are matched and calibrated as a complete assembly in a temperature chamber against a NIST traceable calibrated standard. The final accuracy is verified with a three point calibration check against the standard over the specified temperature range. The transmitter is equipped with non-interacting zero and span adjustment trimmers for site calibration and is reverse polarity protected against accidental mis-wiring. Output accuracy is not affected by long wire runs or electrical noise. The TE-211Z/213 provide an analog output linear and proportional to the calibrated temperature range. This product and process design combined with automated manufacturing processes yields a rugged, reliable, repeatable and stable temperature sensor at a low cost. 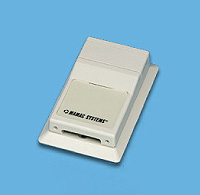 Aesthetically appealing ABS plastic enclosure which may be flush mounted on any flat surface or fits a 2”x 4” handy box. Louvers are provided at the top and bottom of the enclosure to ensure ample air flow for fast response. Allen screws hold the cover to the base to ensure tamper resistance. Sturdy NEMA-1/ IP-30 galvanized sheet metal enclosure houses the electronic circuit board. Available with 4, 6, 8 or 12 inch (100, 150, 200, 300 millimeter) stainless steel probe. Probe protrudes from the bottom of the enclosure and is crimped to the enclosure. The bottom of the duct enclosure is gasketed for a tight seal to the duct work. 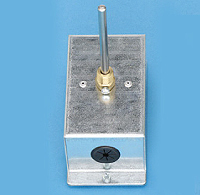 Sturdy NEMA-1/ IP-30 galvanized sheet metal enclosure houses the electronic circuit board. Available with 4, 6 or 8 inch (100, 150, 200 millimeter) stainless steel probe. Probe protrudes from the bottom of the enclosure and is crimped to the enclosure. The immersion sensor is equipped with a 1/4” NPT or 1/2” NPT thermowell fitting that can be screwed directly into the A-500 thermowell providing a rigid support to the transducer. NEMA-1/ IP-30 galvanized steel enclosure with 6, 12 or 24 ft (1.8, 3.6, 7.2 meter) aluminum probe for averaging duct air temperature. The probe incorporates numerous sensors encapsulated at equal distances across the length of the probe. The complete assembly acts as a single sensor and temperature change is averaged across the sensors. The probe can be easily bent to fit any size duct. 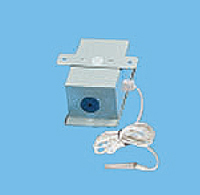 A NEMA-1/ IP-30 galvanized steel enclosure is provided with 6 ft. of 18-AWG twisted shielded cable. The sensing element is housed in a 2” stainless steel probe at the end of the cable suitable for being strapped onto a pipe or used in a remote application. 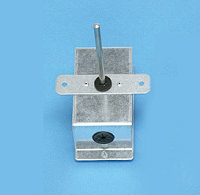 The weatherproof enclosure can be easily screwed into 1/2” conduit. 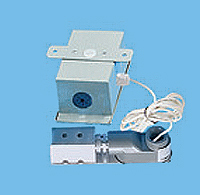 The sturdy NEMA-1/IP-30 galvanized steel enclosure houses the electronic circuit board. 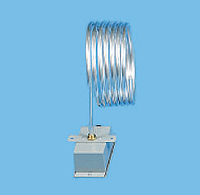 The sensing element is housed in a sun shielded aluminum enclosure separated by 6 ft. of 18-AWG twisted shielded cable.